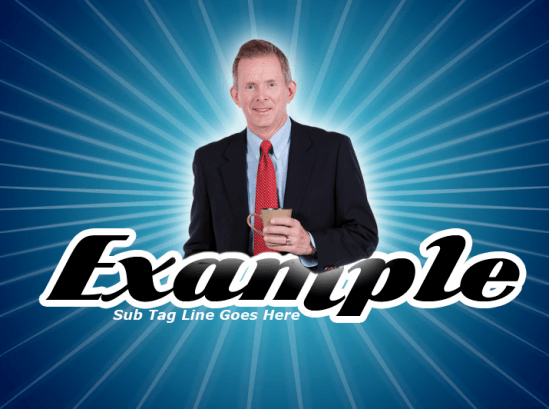 Everyone needs great ideas for their next eLearning course. Try adding cutout people images for a more visual learner experience. These five ideas can quickly be implemented in your course today. 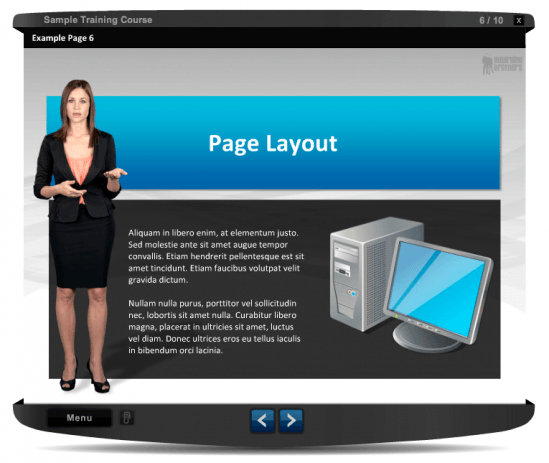 Using cutout people images in your eLearning can not only add some visual pizzazz, but also enhance the learning experience. Listed below are 5 ideas for cutout people images in eLearning. Sometimes visually showing the story really helps to tell a good story and make it more meaningful. 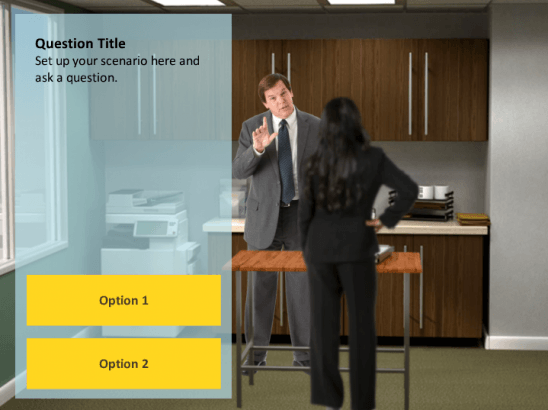 Conversational scenarios show the environment and enhances in the overall experience for the learner that can show a familiar situation. Cutout people images can be used in different poses and emotions to help reinforce the content. The examples below show how cutout people images can be used in a scenario. This can be a side view or an over the shoulder perspective. Adding these images to interactive scenarios are a great way to make your courses more engaging. Instead of just reading, learners can relate to the characters and interact with the content. As the scenario branches the characters are swapped with different poses and emotions to support the scenario content. Below you can see cutout people images along with interactive elements are a unique way to use cutout people images. As I create eLearning courses I like to choose a character to act as my presenter. This presenter usually kicks off the course by showing up on the introduction page and then periodically throughout the course. This humanizes the content and makes it more pleasing to look at than just text. The examples below show how a presenter can be used in your course. If you have some extra time and are feeling creative, incorporating cutout people images in your graphics can create some great effects. Since the images are already clipped out of the background they can easily be layered in Adobe Photoshop to create many unique graphics. Shown below are just a few examples. Building a quiz or interaction? Why not use cutout people images as your button choices. I like this idea because you let the learner choose which cutout person is the correct option. Now just apply a drop shadow and stroke and they can be button ready. 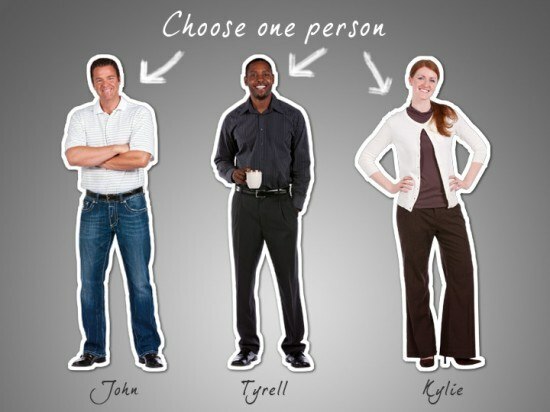 These five ideas for cutout people images are great to enhance your eLearning projects. Feel free to use them in your courses.